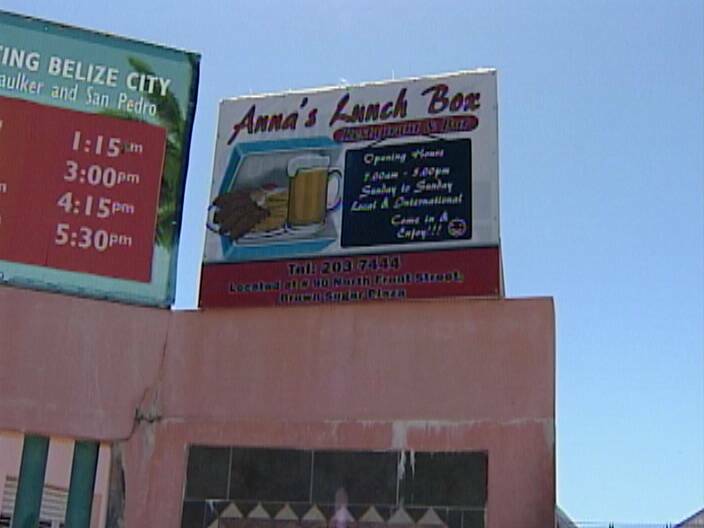 Fifty-seven year old Anna McKay, proprietor of Anna’s Lunch Box at Brown Sugar compound near Fort Street Tourism Village was allegedly roughed by a tourism police. 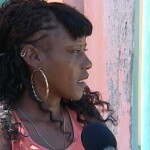 But instead of offering her relief, she says she was handcuffed and escorted to the police station for charges. It all happened this morning in the hustle and bustle of a cruise day. McKay says that surveillance cameras captured the incident and she is heading to the courts. Duane Moody reports. 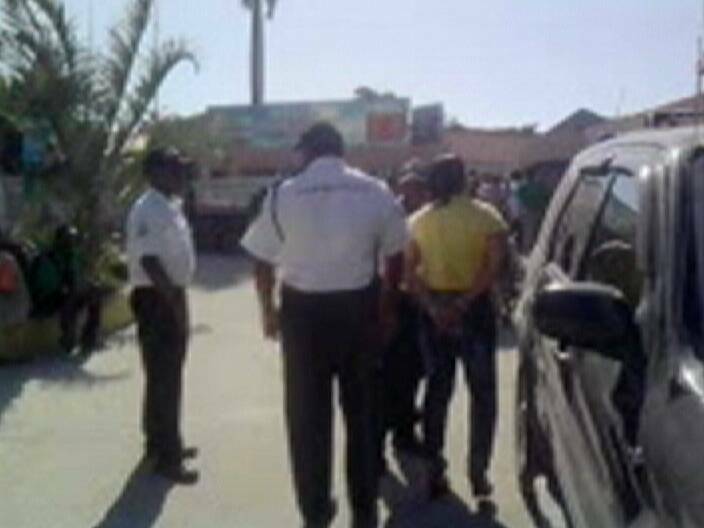 Taxi drivers, peddlers and employees were carrying out their daily routine catering to tourists when a commotion outside the Brown Sugar Compound interrupted business. 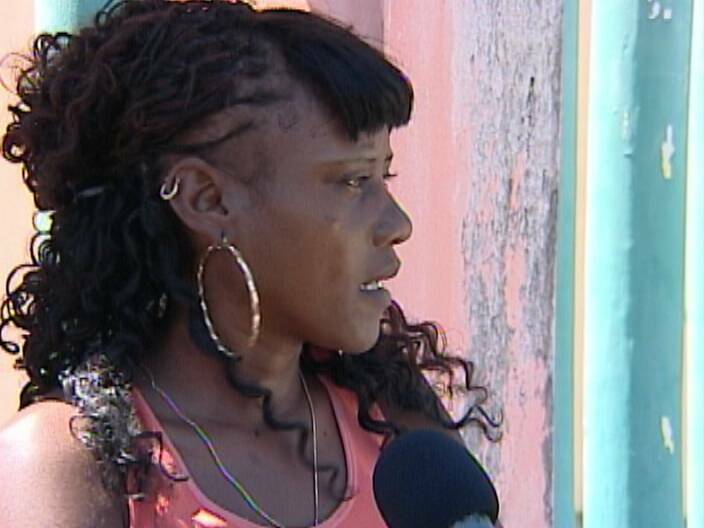 A woman by all accounts was manhandled by a uniformed officer attached to the Tourism Police Unit. 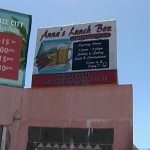 According to businesswoman and owner of Anna’s Lunch Box, Anna McKay, she had just driven up-stop – as is customary given street works taking place in the area by CitCo – when she was approached and assaulted by the officer, identified only as Corporal Berry. She was then arrested. 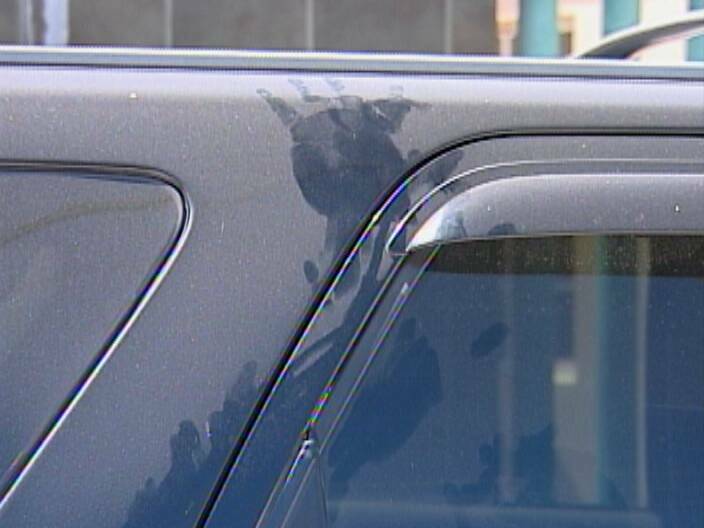 But in the process of being arrested, McKay was slammed at least once into this Ford Escape. McKay, despite receiving injuries, was taken into custody. She was later released. But Melanie Gladden, who was present when the incident happened, took video of the incident on her phone. Gladden says that she was verbally abused for videoing the incident. 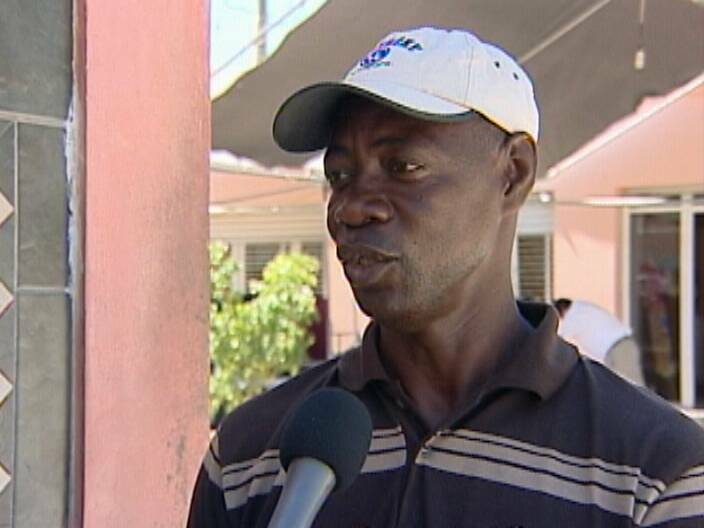 Patrick “Faada” Henry, a taxi-operator, says that it was a blatant example of excessive use of force by officers and paints a negative picture to tourists visiting the jewel. And rightly so, McKay has since acquired the services of an attorney to bring charges against the department for the actions of the officer. Duane Moody for News Five. Mckay says she has had her restaurant in the tourism village for more than ten years. A number of other persons say they witnessed the incident. Even with new leadership in the police, I’m not sure we can count on thorough and fair investigation by them of abuses by police officers. I look around the world, and see that other places have independent civilian police commissions to do independent investigation and oversight of the police. If we can find a few honest civilians who won’t play politics with such a serious matter, I think we need the same thing here. I actually hoped our new Commissioner Whylie would do a credible job of policing the police, and maybe he will. But so far he has been pretty quiet on the issue, except for the manslaughter charges filed against the murdering cop in PG. 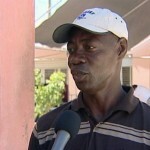 Bad cops commit petty and not so petty violence against citizens throughout Belize everyday, and it must be stopped. It’s wrong, and it has the natural consequence of making even good citizens doubt and disrespect the police in general. This woman needs to sue these ignorant officers and the Police Department. They always say that power corrupts, and absolute power currupts absolutely…. It is a known fact that when one is not educated and is given power, he/she is most likely to abuse that power. My POINT is that most of the members of the BELIZE POLICE FORCE are ignorant, hence the reason police brutality is likely to occur. It’s a shame and needs to be addressed by the GOB. It’s high time that Policemen be charged for abusing citizens and individuals.